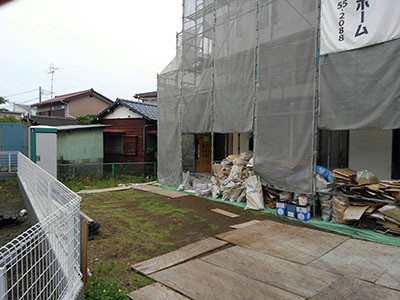 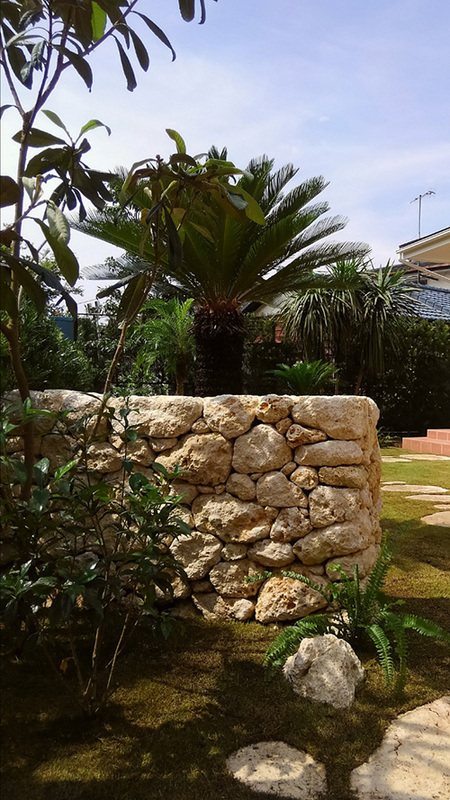 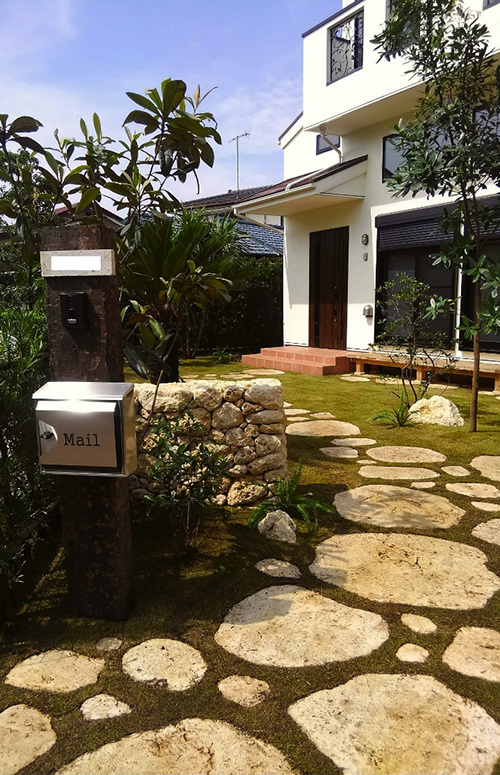 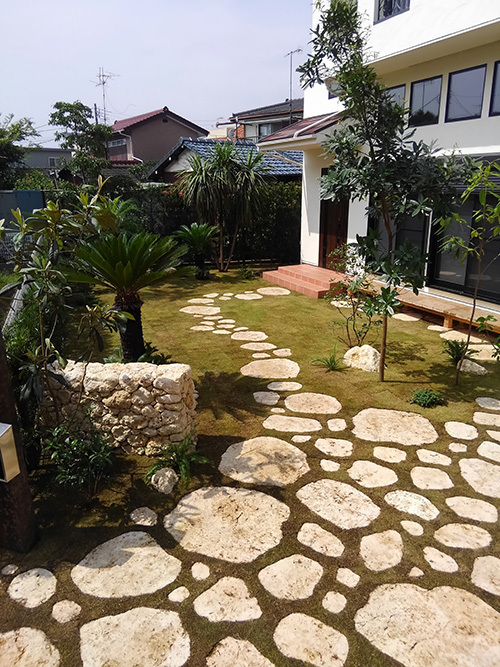 □The client's request was the tropical style garden , especially Okinawa region. 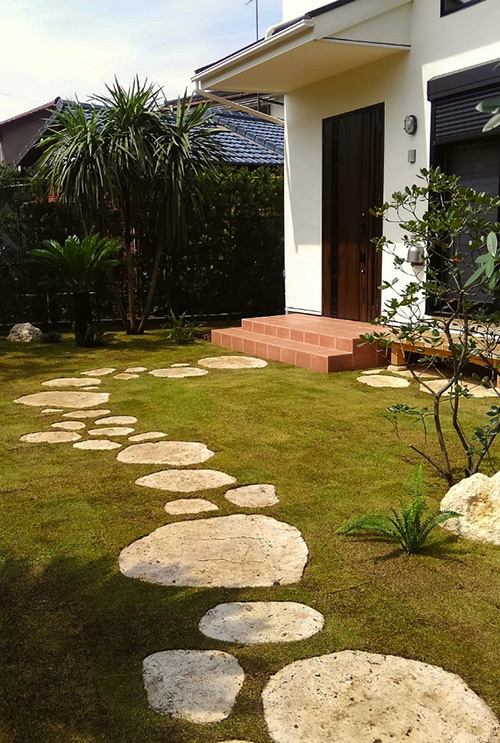 Okinawa is a southen island in Japan and famous for the beach resort. 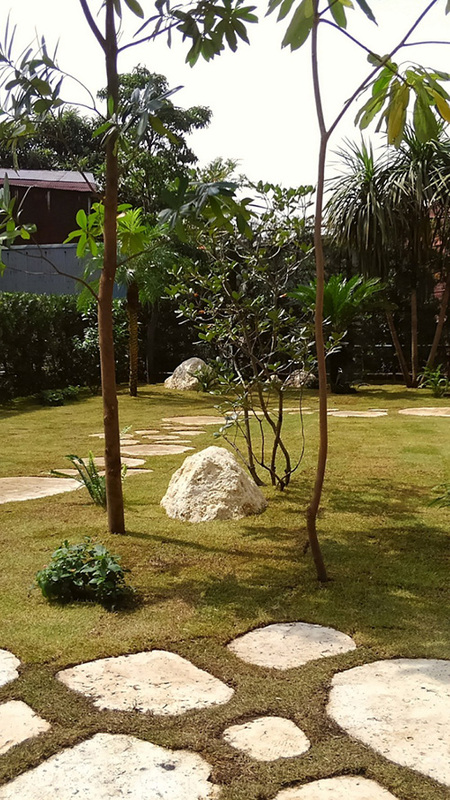 The stone paving is the car park and the wide range lawn is for kids to play and having barbecue. 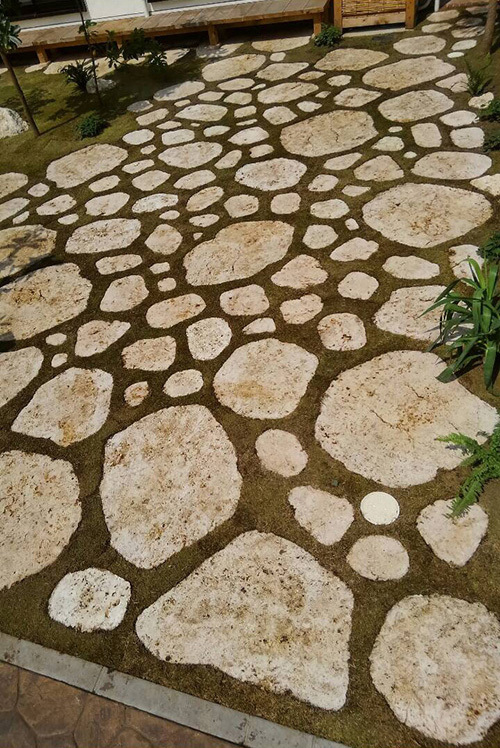 All plants exists in Okinawa and all stone came from Okinawa(Okinawa produces only this white limestone). 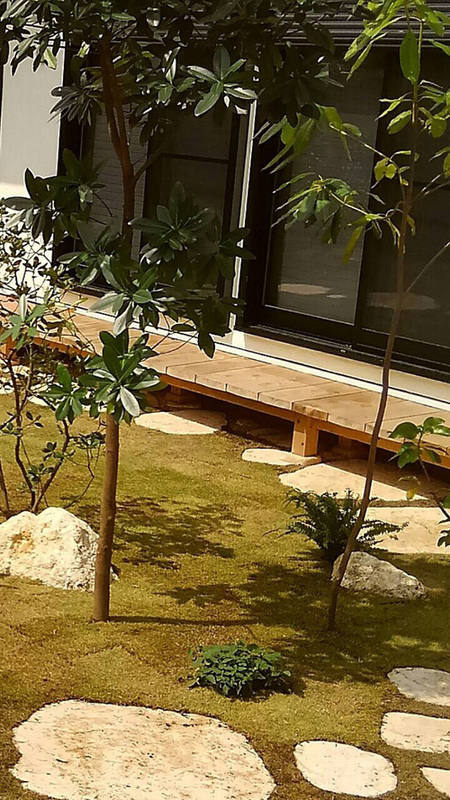 This area is 2km away from the sea and famaous for young families. 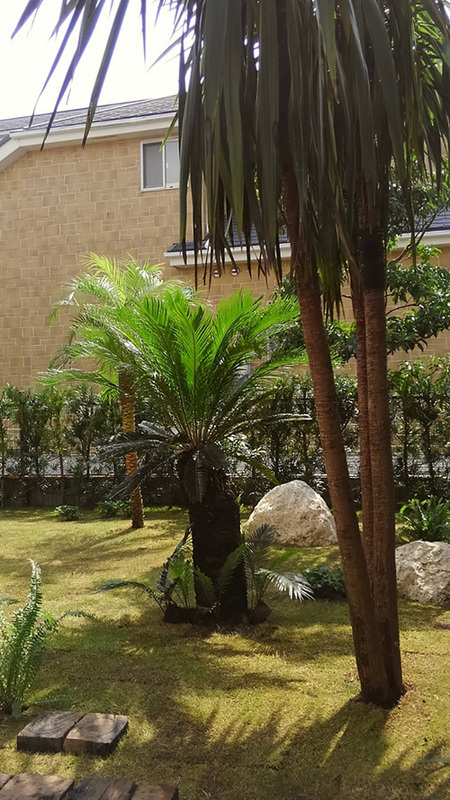 plants：Schima liukiuensis Nakai , Cycas revoluta , Dracaena , Gordonia axillaris , Daphniphyllum macropodum , etc.